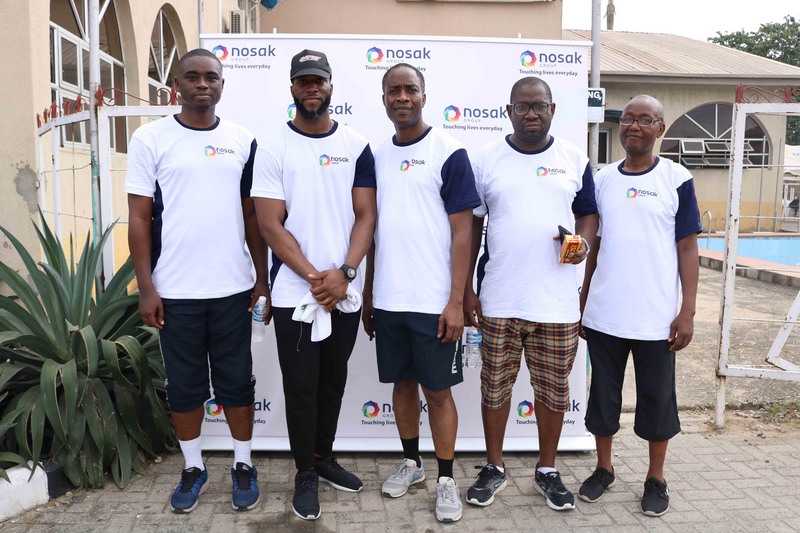 Nosak Group has continued its commitment to advocate healthy living and work life balance among employees with the introduction of the very first staff fitness day, tagged ‘Get Fit, Work Smart’. 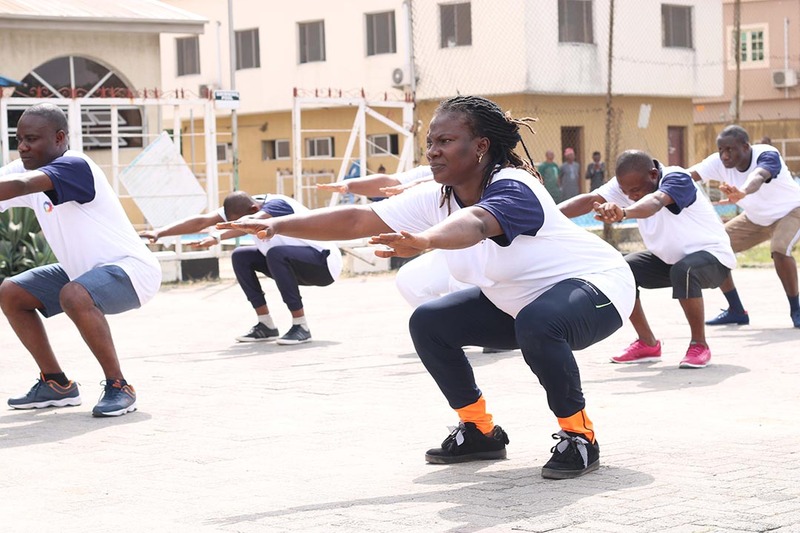 The one-day event, which held at Ogudu GRA Recreation Centre on Saturday, March 30th was initiated by the Corporate Communications Team as a platform for team bonding aimed at promoting healthy well-being to reduce fatigue and health risk factors commonly faced by employees. 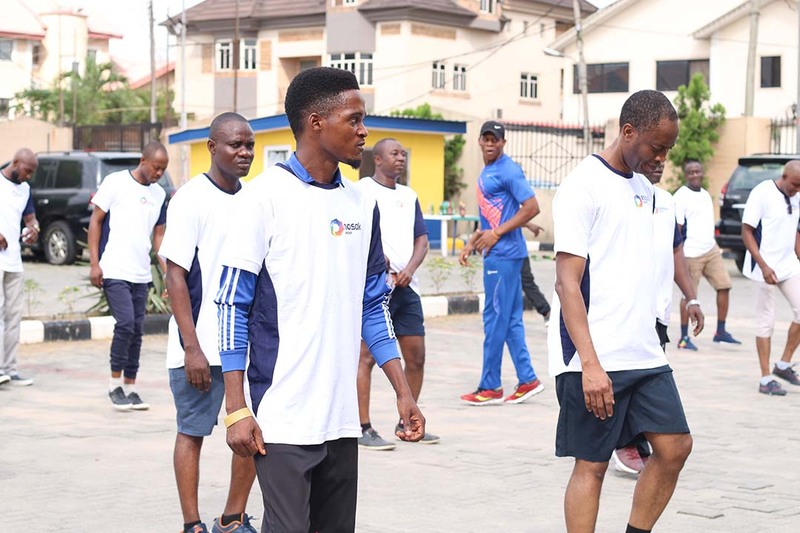 The event brought together over 50 employees of the Group cutting across management and junior staff members who participated in various fitness and fun-filled fitness activities, including aerobics, stress relief therapies, football, egg race, sack race and other games. 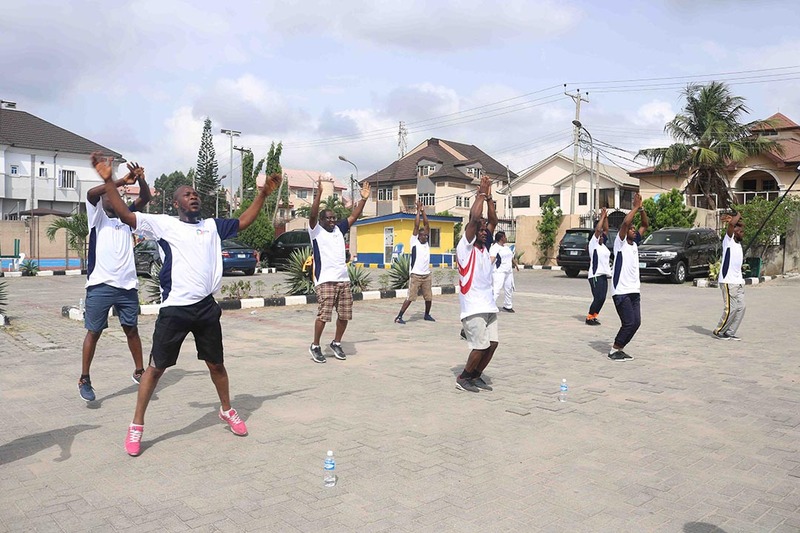 The activities were coordinated in partnership with professional fitness trainers who inspired all participants to partake in the activities. High point of the day was the competition sessions for male and female categories. 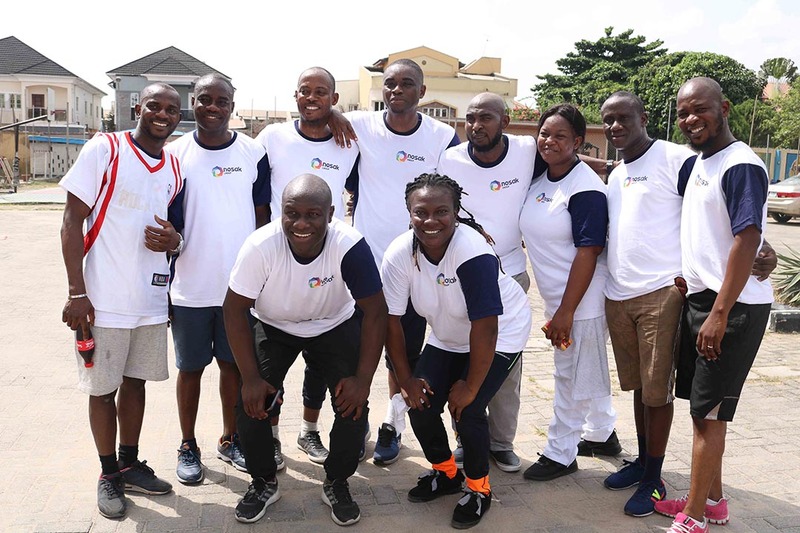 These saw the emergence of a winner from each category. 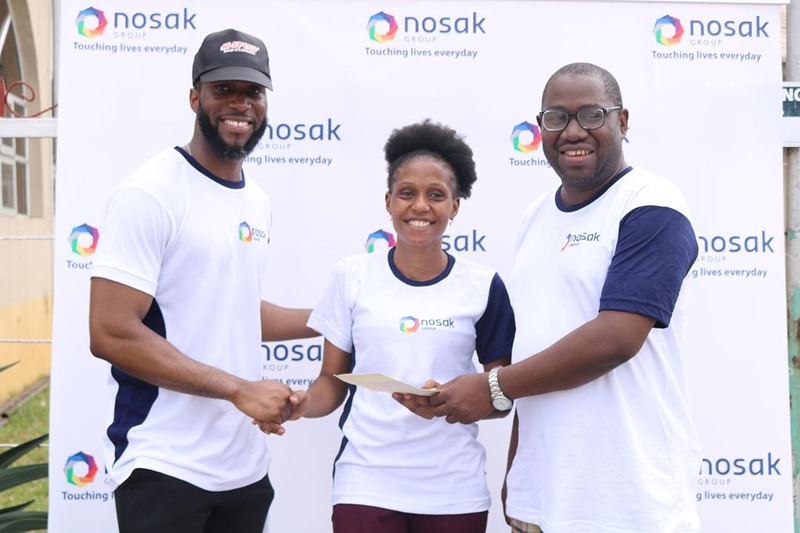 Irene Oharisi, Front Desk Officer at the Head Office emerged the winner of the female category while Omotayo Olukunle, Executive Driver, Nosak Farm Produce won in the male category. 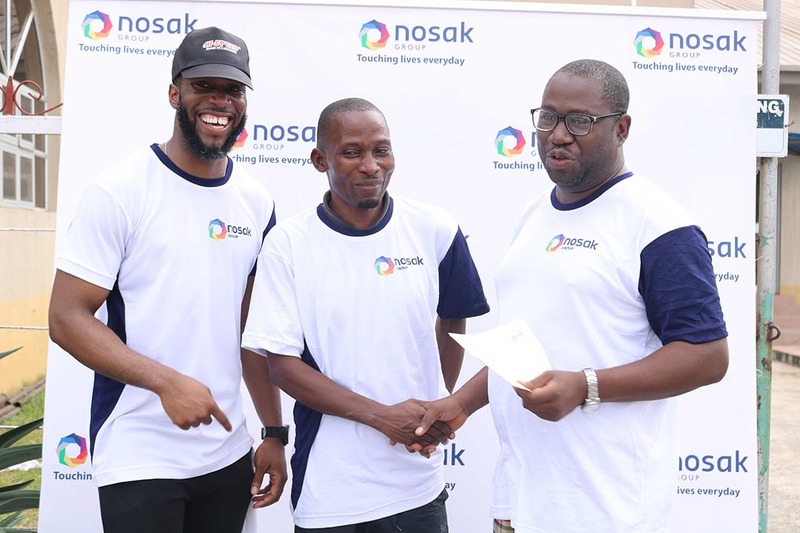 Both winners were presented with CCD Superstores Shopping Vouchers as prizes for the competition. 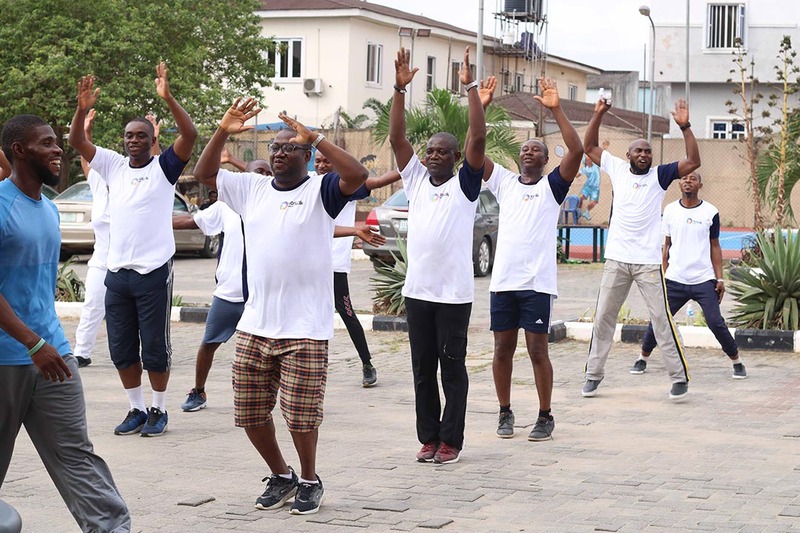 Speaking on the importance of the Staff Fitness Day, the Group Chief Operating Officer (GCOO), Mr. Thomas Oloriegbe lauded the initiative and expressed his delight to see participants in large number. 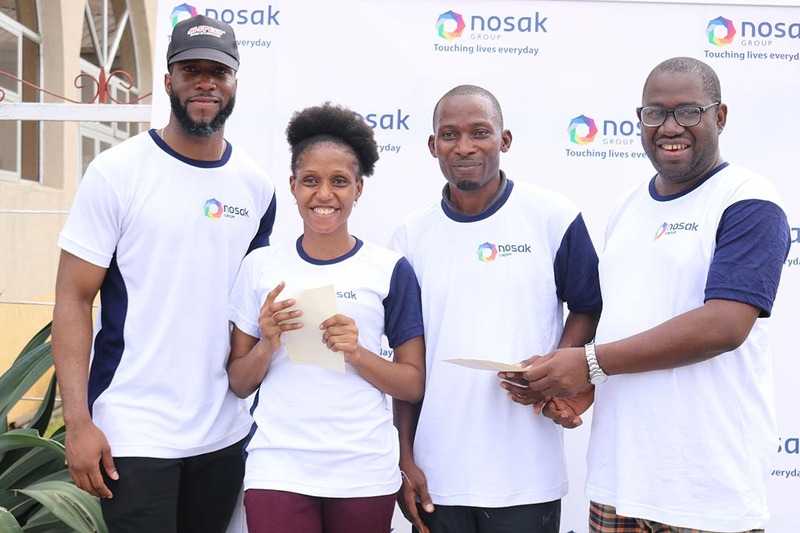 “This is a very significant event to promote work life balance for employees who spend most of their time in the office sitting at their desks. 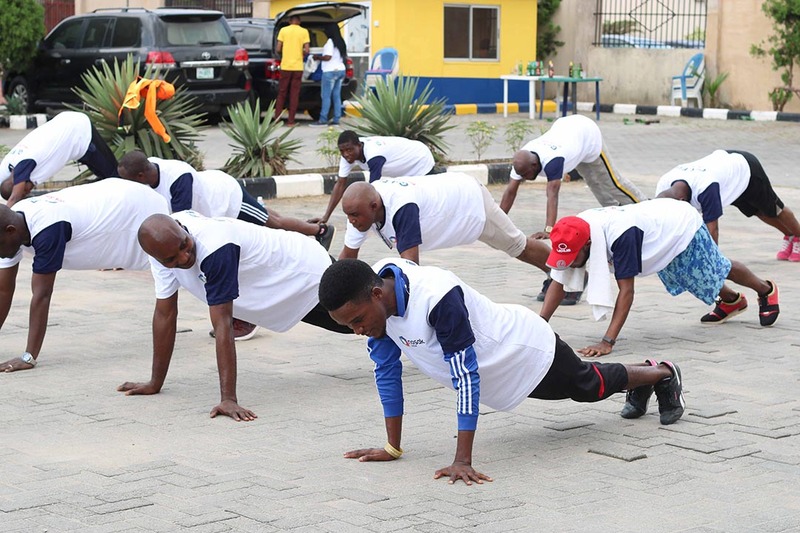 It became imperative to initiate a healthy lifestyle to get our team physically fit to enable them work smarter”. 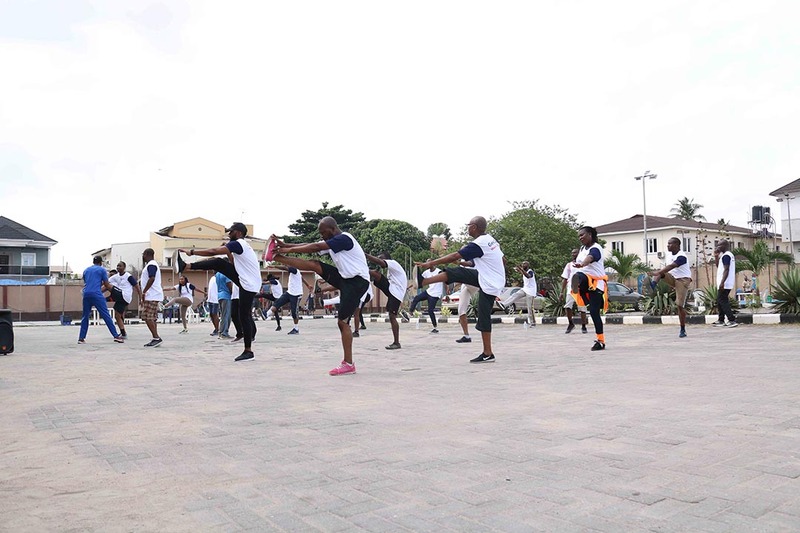 The GCOO therefore called on the team to make it a regular routine at least once in a quarter to have a healthier and happier workforce thereby minimizing frequency of health issues among employees.